An artist with minimal online presence, who keeps himself to himself, Commodo* is one of an increasingly rare few who make waves through the strength of their music alone. Releasing tracks with Rocks FOE to great critical acclaim, this duo seem to have hit the sweet spot. 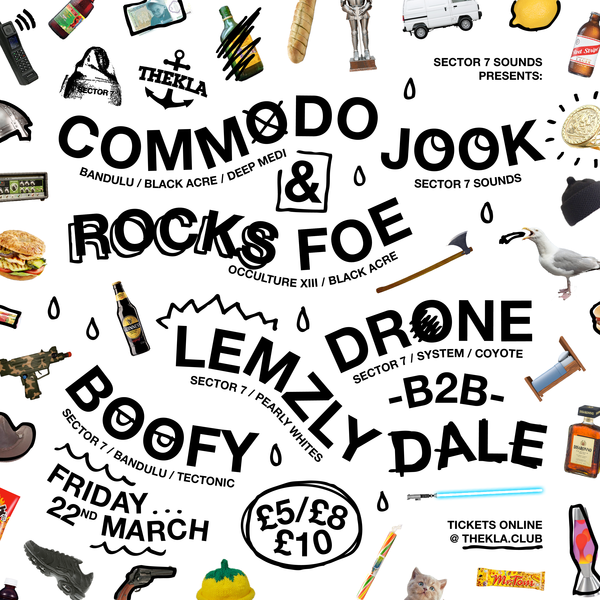 Expect the finest in Grime, Dubstep, UK Rap and everything in between, local heroes Sector 7 Sounds will be bringing their roster, as well as Too Much Collective taking over Top Deck duties all night.